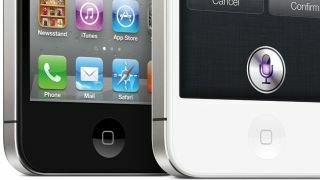 Sharp, the Japanese manufacturer of the Apple iPhone 5's LCD panels, has finally begun mass production and shipping of the new smartphones' screens. Apple is receiving the screens, a source speaking with the Wall Street Journal said, partially putting to rest fears the Cupertino firm wouldn't meet what's sure to be a feverish global demand for the phone. As recently as the end of August, Sharp had fallen behind in the production of the 4-inch screen, with a source citing high costs cutting into price margins as a primary factor. All out production of the screens started earlier this week. Two other screen manufacturers - Japan Display Inc. and LG Display Co. - had already started shipping their components to Apple. TechRadar has reached out to Sharp for comment on what caused the production delay and the current shipping status of iPhone 5 screens and will update this story if and when information becomes available. The iPhone 5 steamroll onto the market is off and running, with pre-orders set to kick off at 12:01 a.m. Friday. The phone will hit store shelves Friday, Sept. 21, the same day pre-ordered phones start shipping. One day after it was announced Sharp would be manufacturing screens for the iPhone 5, TechRadar learned the Japanese company had suffered severe financial losses, amounting to $1.76 billion (£1.13) for the quarter. Failing to meet Apple's screen demand for its latest smartphone could only spell doom for Sharp. What impact Sharp's delays will have on Apple's ability to meet consumer demand remains to be seen, so stay tuned to TechRadar to find out if there are any holdups in you getting your hands on an iOS 6 handset.